WOW!! I'm amazed at the cute finds for your girls!! 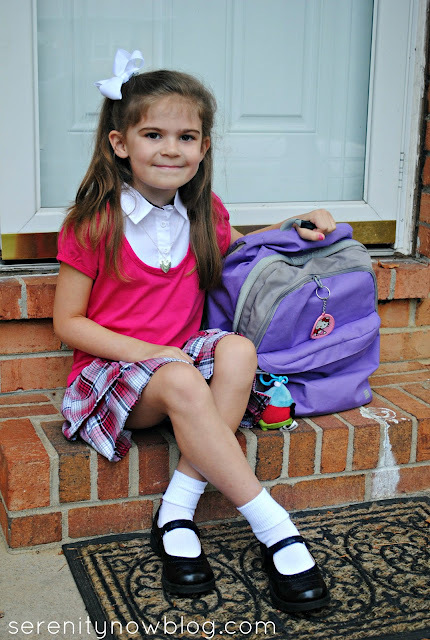 I am honestly so excited for my kids to go to school just for new school outfits Haha....I remember the beginning of school being so fun just for that reason. New outfits. I've never been a size 6 but if I was I'd definitely be wearing those pics.. I've seen the red and gray pin before and I LOVE it!! I love wearing coats I think after wearing the same ones for the last few years it's time for something new! My boots!!!!! I miss them so, and I cn't wait to wear them again! 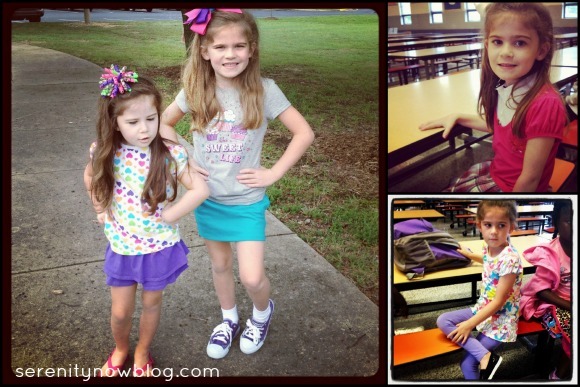 Your girls are natural fashion models- So cute! I have a weakness for coats. My foot is a size 4-1/2 so shopping for shoes is no fun but man can I make up for it shopping for coats. I am looking forward to fall also. Oh I love a great fashion post! Those blue winter coats are calling my name, great picks, off to check them out! Love this post Amanda! 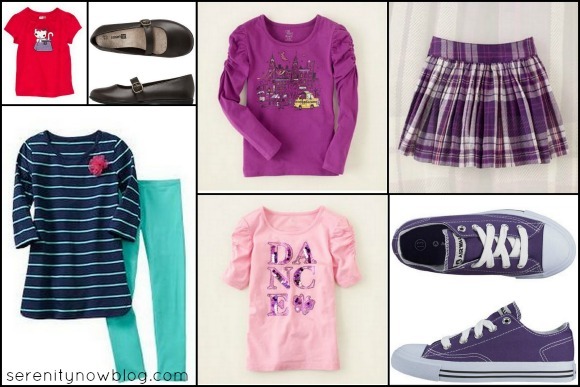 I am all about affordable fashion for my girls and myself. This past weekend I took my 14 year old stepdaughter thrifting. We had fun and she got some great pieces. I picked up a couple tops for me too. One of which was a chambray shirt from H&M. I've already wore it twice! 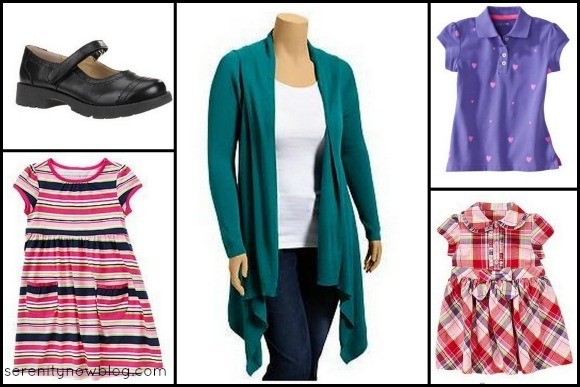 I'm all about clothes shopping for children on a budget - my son generally outgrows his clothes before they wear out, so all his clothes come from Target or Walmart - I have no shame in admitting that. I love the red and gray outfits! 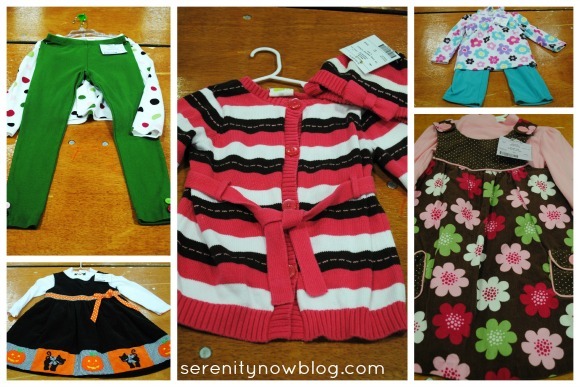 My favorite from the consignment sale is the Halloween dress and I also like the pink and brown floral one. Almost all of my school dresses are from Dress Barn. They are good quality with a low price. I noticed Natalie's dress in your first-day photos last week. She DOES look very first-gradish--very grown-up, to tell the truth. :( But so cute! I used to live by the mantra "Children's clothes should not be investment pieces." Honestly, I think it's amazing how much some kid's clothes cost. Even if you can pass clothes down to another another child, it hardly makes sense to pay high retail prices for things that a kid is going to wear for one season. Good for you for showing that you don't have to sacrifice style to stay on a budget. As for you, I love the outfits you're showing here! I'm such a dunce at fashion. That's one of the reasons I like dresses--one thing to wear rather than several pieces to put together. Isn't that pathetic? Right now I'm trying to clean some pieces out of my closet (I've got some old clothes in there!) and I hope to do a little more mixing and matching this fall. We'll see how I do. This summer, I've mostly worn shorts and T-shirts--plantar fasciitis has had me wearing athletic shoes most days! It's hard to think about fall clothes when it's still so hot hear in Southern California, but I love those blue wedge shoes! Where are they from? Thanks for sharing all those fun outfits. I think Natalie's outfit is just perfect...it is adorable but classic and will be great to look back on in years to come (with out cringing).